This quick and easy mousse looks fancy, but it’s actually SO quick and easy to make! This easy version of mousse has long since been one of my favorite go-to desserts. Not only is it delicious, but it’s super duper quick and easy, cheap, fairly diet friendly, and really versatile. There are so many different ways to make it! Plus, I almost always have all the ingredients on hand, so it’s a great recipe to keep in your back pocket for dessert in a pinch. If that’s not a win all over, then I don’t know what is! The ingredient list is pretty simple. And really short. 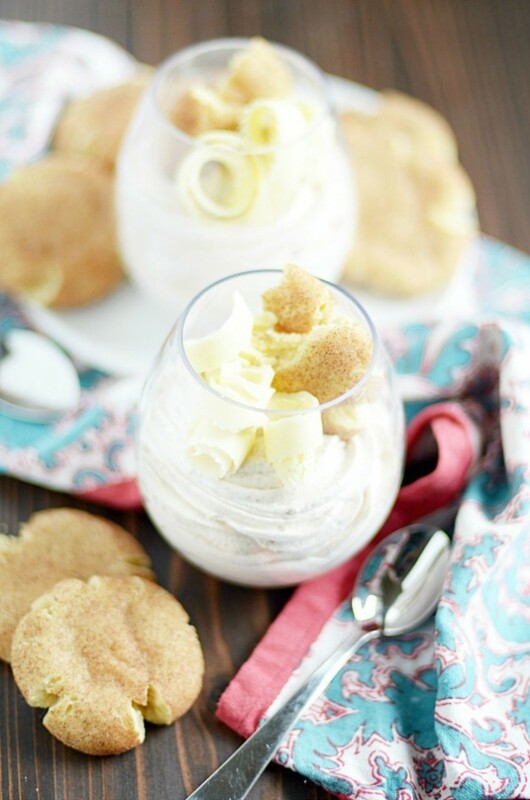 Instant pudding mix (white chocolate flavored for this snickerdoodle variation). And for this version you’ll also need cinnamon, white chocolate, and (optional) snickerdoodle cookies. White chocolate and cinnamon is one of my all-time favorite flavor combinations. 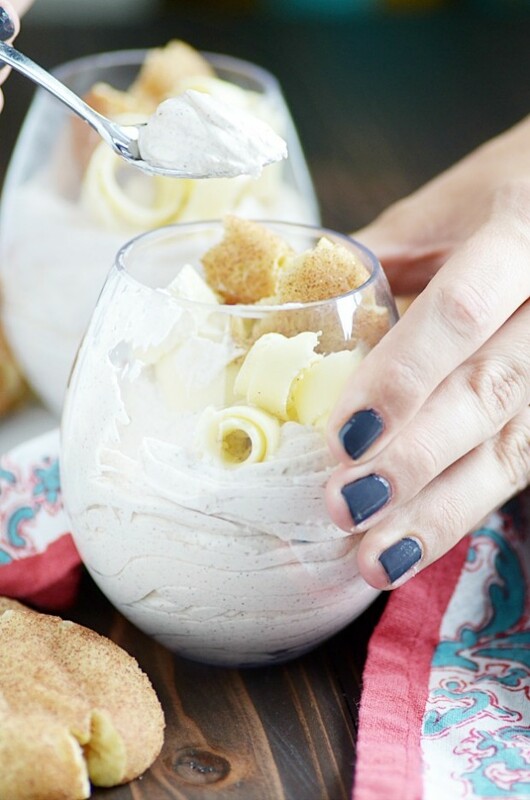 If you love it as much as I do, you MUST make these White Chocolate Snickerdoodle Pudding Cookies and these White Chocolate Covered Pretzel Snickerdoodles. They’re both ah-mazing! 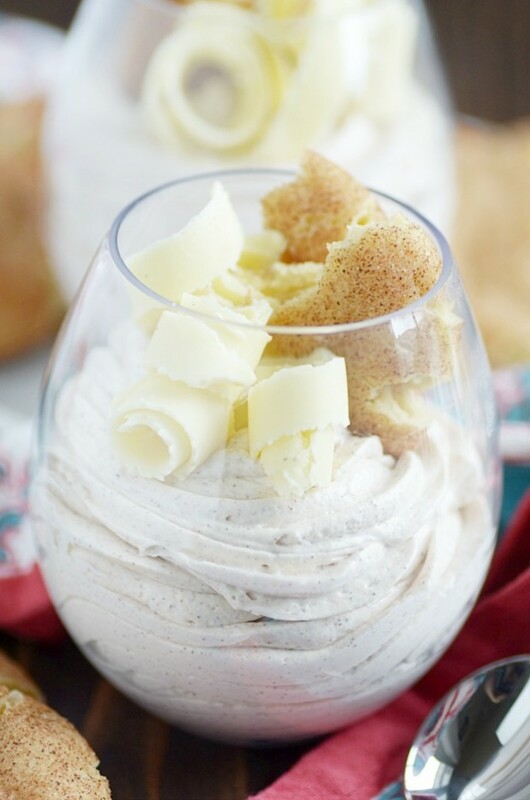 But when you don’t have time for cookies, this mousse will do the trick ????. And PS- if you want an easy way to make sweet chocolate curls like I did, use this tutorial from I Am Baker. It made chocolate curling a breeze! This quick and easy mousse looks fancy, but it's actually SO quick and easy to make! Whisk together the pudding mix, cinnamon, and milk until smooth. Immediately whisk in about half of the Cool Whip. 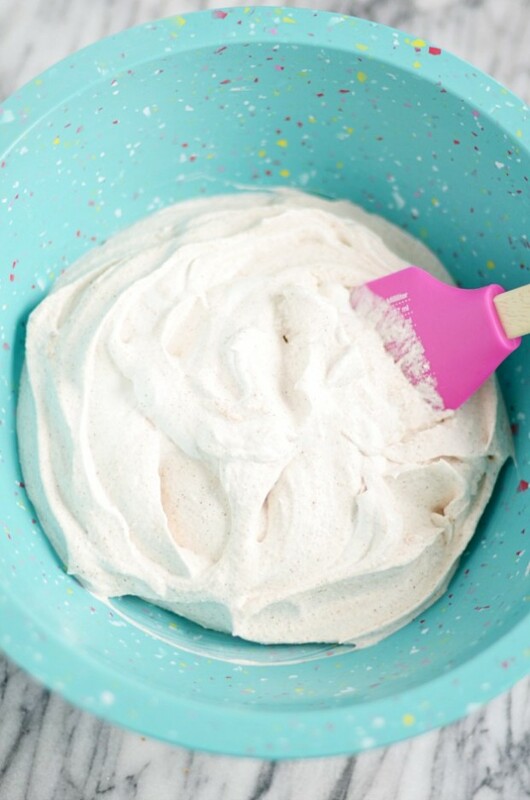 Fold in the remaining Cool Whip with a rubber spatula. Fold in the white chips. Chill until ready to serve. 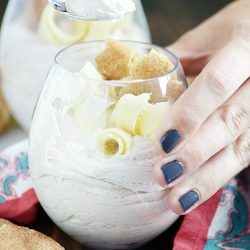 Top with additional white chips or chocolate curls (see post for details) and snickerdoodle cookie crumbles.